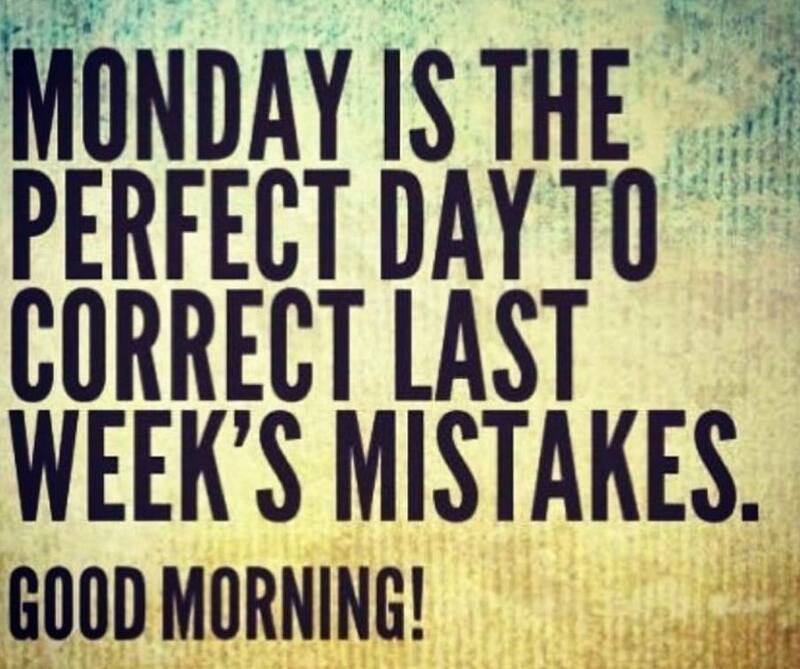 "Monday Is The Perfect Day To Correct Last Week's Mistakes! Good Morning!" Today is a new day... This week is a new week... Use it as a new beginning to start taking action on those things you know you truly want to accomplish! I hope you have an amazing day and week!